Like all good design risks, I’m about to dance a fine line of dated/try-hard OR beautiful and textural…and before we all embarrass ourselves, I thought it was worth a conversation with 50k of my favorite friends. 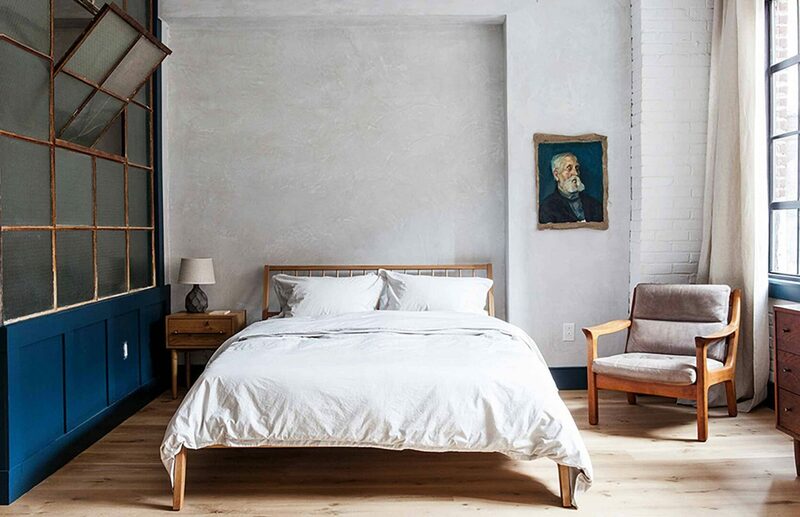 As you might remember, nine years ago when we started the mountain fixer, I wrote a post about doing some moody wall colors for the bedrooms and this desire has not changed. I’m dying to get away from the all white wall trend (I’m not alone here either…Arlyn wrote a post waxing poetic on this exact topic yesterday) and the guest bedrooms in this house are the perfect place to do it. That’s not the risk. The risk is that I want more texture on the walls because there really isn’t a lot of interesting architecture in these guest rooms—no moldings, no wall paneling, no ceiling paneling, just really pretty wood windows (but only on one end) and beautiful wood flooring. The rest of the home is filled with amazing architecture, big dramatic ceilings, or special finishes that we are putting in but these guest rooms are simple as they are now. I don’t want to add paneling all over the walls or molding. I want these rooms to be edited, curated, uncluttered and just calm and simple (with the perfect everything) but still warm and interesting. But this house is a 1960s totally renovated rustic Scandi-style chalet and I fear that plastering all these walls would, well, perhaps cost too much if done correctly. So that is concern #1: The Cost. In the Portland house (bottom right corner of the below grid), my impulse was to go with a smooth flat finish not knowing that I was basically tripling the paint labor and materials cost of just going with a standard orange peel. Sure, I knew it would be more expensive but I don’t think I knew HOW much more (again, triple). Not only was the labor more but every time we had to adjust a junction box two inches, the sheetrock guys had to come back out to smooth coat it. Am I glad that we did this for this house? YES. VERY. VERY. VERY. GLAD. Those smooth walls feel fresh and high end and modern just like the house should. Was it the smartest decision to do on an investment property that we were trying to keep within budget and on top? Maybe not. Let’s review with this little cheat sheet the different types of texture, in case you aren’t familiar with the “orange peel” term that I just threw out there. No, there aren’t orange peels cladding your walls; it is just a term that was generated to quickly talk about the texture that the walls have. Without going into too much of a backstory or financial lesson. Orange peel walls are dramatically more cost-effective than smooth flat finish walls because you can be a little quicker with the application and you won’t notice the little differences in everything once it is painted. It helps to hide everything with a texture whereas the smooth coat is the opposite. Every little tiny crack or imperfection will only be amplified once it is painted. Our budget isn’t endless (I haven’t looked at the budget in a while for the mountain house for fear of nausea, spontaneous hysteria, depression, anxiety, etc), but let’s just say we are trying to cut costs on finishes where we can. As a “smooth coat lover,” I approached my GC at the mountain house and he has convinced me to save money and time by doing a slight “hand” texture—not full plaster, but some in order to save money on smooth finish and instead use something that is more forgiving without going full orange peel. So I started pinning the texture that I love. Nothing too Venetian or obvious. It’s my relatively firm belief that unless you live in a very old building (at least 80 years old) or a crumbling loft (I guess same rule) then be VERY careful about doing Venetian plaster or any sort of extreme faux finish as it will look well, “faux” and therefore could date itself pretty quickly. I’ve seen it done in new builds and depending on the architecture, it sometimes works, sometimes feels out of place. On a custom high-end build with groin-vaulted ceilings and grand archways and staircases, sure, but… just take heed otherwise. Also remember that the family room and living room fireplaces in the house are both plaster, as is the tile in the dry bar backsplash (you don’t know that yet) so there is kinda this element happening repeatedly in the house already. Bringing this texture into the bedrooms feels…natural and right and like it won’t be a huge departure from what we’re already doing. Well, I’m leaning more toward a limewash instead of a plaster which is a texture created by…well, Remodelista did a whole article on everything you need to know about limewash, and here’s how they put it: “An ancient house staple dating back to Roman times, limewash is made from limestone that’s been crushed, burned, and mixed with water to make a lime putty. The putty is aged and then thinned with water and colored with natural pigments. Limewash creates surfaces that are mottled and matte with a chalky texture something like suede. It lends a depth and luminosity to flat walls.” Chalky, nuanced texture? Oh yes, bring it on. 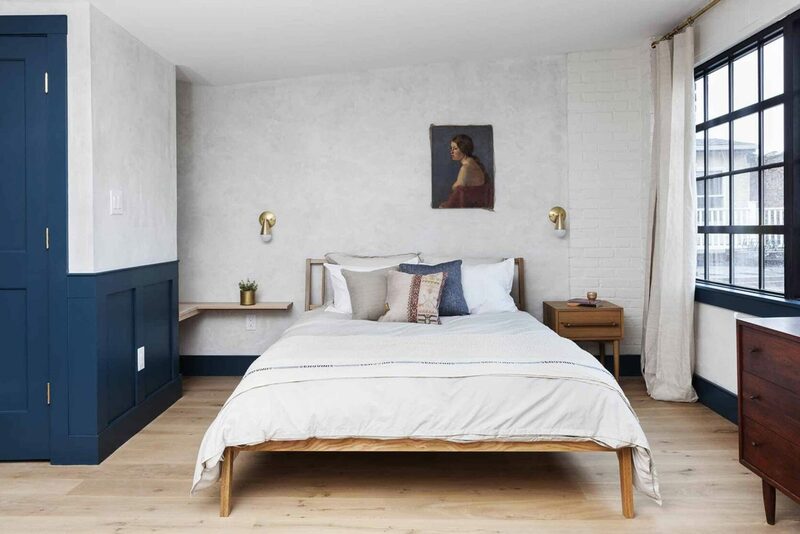 Jersey Ice Cream Co., who designed the Lokal Hotel in Philadelphia but also are the geniuses behind SO many rooms we’ve shown you on this blog recently, have mastered the textured wall in a fresh, modern way. I think they’re using a Venetian plaster technique, rather than a limewash, but it feels like a hip grandma that also happens to dress REALLY COOL. Obviously, the “age” and “character” is there, but also, SO COOL. Here’s a close-up shot of some texture that is subtle but just enough to not feel totally flat. The color is moody without being like someone turned off all the lights and there are faint variations all over. No surprise here, I love this blue. It’s so inky and the texture from the wall finish really catches the light. Can you imagine in one of the bedrooms with magical winter light streaming through the windows? I can’t tell if this is actually just wallpaper…it might be? There’s a seam I spotted under the hanging aprons but it’s just another example of that really subtle tonal texture that makes things feel automatically more interesting than just a basic orange peel or smooth finish. How pretty would this be in a little girl’s room (not to say pink is just for girls…it could go in the room anyone, of course), but a finish like this is something that is grown-up enough to stick around from crib to queen-sized bed. It’s a classic finish and therefore feels timeless no matter where it is used. If you’ve been following along like a good, dedicated daily reader, you might remember this shot from the mountain house color post I did all the way back in February when I was still young and green about this whole project (okay, I’m still excited, now that walls are going up and the next fun phase is about to begin). I thought it was really pretty and soothing and inviting back then, and still do now. I originally saved this photo for the color inspiration, but it also has a “wait, is that right?” kind of texture that feels like a wall that’s been around the block a few times…in a good way. Most likely it is due to the fact that it looks like it is a bedroom in an old Parisian apartment flat—complete with beautiful old walls. But the texture is still there and the movement happening on the walls is beautiful. 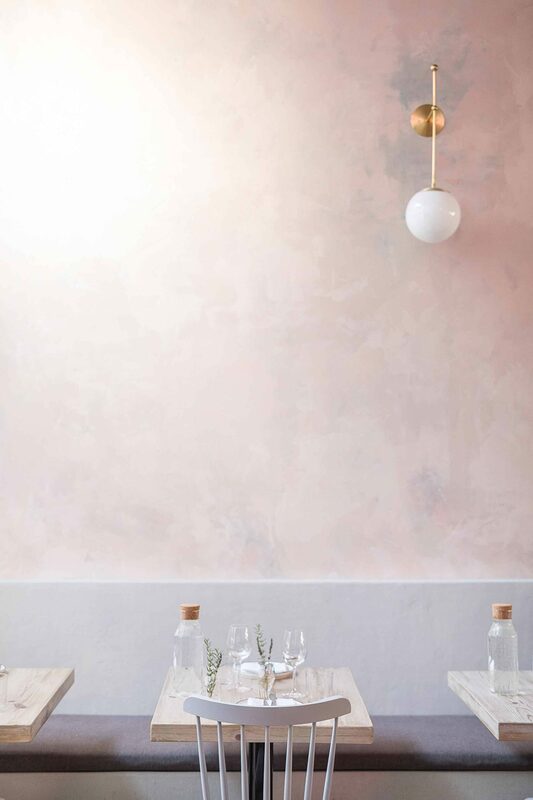 I recently met with Portola Paints & Glazes, a local LA company that mixes up really beautiful, subtle, quality paints and also offers a handful of custom glazes and finishes (like plaster and limewash), and I’m really excited about possibly working with them for this (more on that later). That look is beautiful when in the right space and might be just right for someone, but not for me. There’s something kind of…unfinished about that first blue shot (which works perfectly for this vignette) but again not perfect for the mountain house. And there’s just a bit too much variance in color of the grays and pinks in the second shot. I love it in this space (heck, it is one of my favorite restaurants here in LA and is gorgeous inside), but again probably not right for the mountain house. We want subtle, calm and simple texture. So…now I throw it to you guys…what do you think? Is this too “trendy” and something I should just avoid (even though I definitely will be doing some kind of texture because, like I said, smooth finish is TRIPLE the labor cost) or you’re all like YES, YES about it? Let me know your thoughts on the finish you think we should go with (more subtle or more varied) in the comments, as always. I’m leaning toward more subtle in a rich color for the guest bedrooms (and might even consider a limewash finish in other spaces…maybe the whole house), but would love to hear what you guys are thinking. “Yes, yes!” All kidding aside, as someone who is known to change where art is positioned even when no mistakes are made, the thought of a finish whose repair avoids a coma inducing cost is amazing. Curious to know whether you’d apply the same texture across all the guest rooms and whether applying more than one “round” of paint (in the case of future repainting) would require retexturing to achieve the lovely subtle gradients shown above. Exactly, that’s why the ‘slight hand’ texture was appealing to us since we will change things up now and again so it is easier to repair than the smooth coat finish. Still debating whether to limewash the entire house or just the bedrooms so TBD on that. We have some cement-plastered walls in our mid century, rustic farmhouse in upstate New York. Backstory- It was originally an 1800s farmhouse that has a fire in 1969, and was rebuilt as a mid-century rustic cabin in 1971. We’re at the end of 3 years of renovation, and we ultimately kept most of the cement-plastered walls (our various contractors hadn’t seen this technique done residentially) and original reclaimed panel walls (very Jersey ice cream co, but original and we’ve grown to love it). All of that to say, having lived with it now for 3 years, and my husband has for 25 (we bought the house from my in laws)- you’re very limited if you ever want to repaint or change your mind. Depending on the level of texture, it’s harder to clean. I don’t even know how we would repair it if we ever needed to. In rooms we took down to the studs we just got rid of it, which was mostly the kitchen. If you’re going to be using the house for ongoing content creation and need to be able to change things easily a year or two from now, even 5, I would go with a finish that lends itself to flexibility. Hi, I was wondering if you still offer design services via skype/email/whatever and looked on the “services” tab, but the page is broken. At the moment we are just focusing on the blog and this project, we can refer you someone if you email hello@emilyhendersondesign.com and tell us more about what you are looking to do. it certainly feels like forever but now that the drywall is getting finished up I can see the finish line finally. I guess wall texture is a regional thing? I’m in Canada (eastern) and every house has smooth finish walls. I don’t even know where I would go to get orange peel applied or who would do it. Even the cheaper starter homes or flipped houses have smooth finish. Sheetrock is just the only option. I guess we’re lucky! I was thinking the same thing! I’m from Central Kentucky (developed, urban area) and nobody here has textured walls, it’s completely unheard of unless you own a 1800-early 1900s home. I’m shocked by the texture cost savings, because it would actually cost me more to have textured walls (I’m currently building a home) simply because nobody around here does it. I find the regional differences in construction costs fascinating. Orange peel walls are definitely a thing in California. Basic builder grade wall finish from 1970s on through 1990s found in crappy apartments across the state. It was cheap to build that way (and it looks cheap!) especially when painted a glossy beige. Same in Australia. Weird, huh? Definitely a weird regional thing. I grew up in Michigan where all the walls are smooth, and when renovating my house in California was blown away by how much pricier that option is. I was lucky enough to have my dad come out and teach us how to do it ourselves. A long weekend worth of work and we now have beautiful smooth walls. That’s because in California contractors are trying to sell everyone on an unnecessary additional skim coat. Getting that skim coat perfectly smooth is difficult and therefor expensive. In Michigan, a level 4 finish is considered standard. Orange peel finish is definitely not as common as it was during the 80s/90s when this house might have last been remodeled. There are a couple options how you can finish drywall and smooth coat is the fanciest (most expensive) of the options, so yes you are lucky! ok now i have orange peel questions. i *thought* orange peel was just what you ended up with if your painter used not great quality rollers and not great quality paint on your Sheetrock. And then it gets compounded over the years if the same approach to painting is taken. but it’s actually a deliberately applied texture? I’ve had a lot of painting done over the years but no one’s ever offered ‘orange peel’ texture as an option. EHD team please enlighten us! I think the spray/splatter sheetrock mud onto the wall and then skim coat downward with a trowel to create a mottled, ie orange peel, texture. I’m in Canada too and flat finish walls are standard. I think they’re actually easier to repair because you don’t have to match pre-existing texture. Smooth texture is easy! I can easily fix small/large holes myself with pre-mixed mud, putty knife, and sandpaper (and drywall if needed). That’s my experience too–it’s super easy! I’m baffled. Orange peel only exists to hide builder mistakes. It’s an extra step…would be quicker and cheaper to build correctly in the first place. For very minor spots, sandpaper and spackle are all you need. I want to move back to the South, where all the walls are smooth! In Canada, our walls are typically “smooth” with no orange peel texture because only the seams and screws are mudded and sanded. The rest of the drywall is simply primed and painted, fast and easy. When they talk about smooth coat in the U.S., I believe they are talking about coating the entire sheet of drywall and then trying to make it perfectly smooth through the application technique and lots (and lots) of sanding. It sounds like it is very labour intensive and expensive. As an alternative, they do orange peel and other textures which still coat the entire wall, but don’t have to be completely smooth in the end to save time and money (though it’s still more expensive than just the seams and screws). I have plaster walls in my 1930’s twin home. I love them for their imperfections, and in a twin, they are great sound buffer. Sometimes they are challenging hanging things but I do love the look. I love lime wash, but I think it looks better in old houses. My in laws have it all over in their 17th century French stone house, and it is so touchable in person. I love a white limewash because it’s more dimensional than paint, but doesn’t read too textural in photos. I dream of someday having plaster, but I’d feel silly sticking it in our 1960s apartment building. In your mountain house with stone, though? Go for it! exactly SO touchable thats the perfect way to describe it. Your in-laws place sounds idyllic! that sounds absolutely beautiful I would love to see how it all turns out! When I bought my lime I saw there were sites that sold color add ins- maybe google it to look into it? It’s totally doable I think. I can enjoy/appreciate these finishes when they are original to the house, but don’t like them much as a deliberately chosen technique. Some of the images above are lovely but I think i would tire of it in my own space. Fun! How long does lime wash last? Must be more than standard paint. All for it since it is so beautiful. I put myself through school painting walls, can now spot a bad paint job a mile away and am somewhat obsessed with paint. Skim coating was the worse and a good skim coater is worth their weight in gold. When you say “orange peel”? Do you mean just using standard eggshell paint? Certainly more durable than matte. Love the matte look but maintenance is the worse. Also, people do not realize that expensive paint can be cost saving, aside from looking so much better and lasting longer. 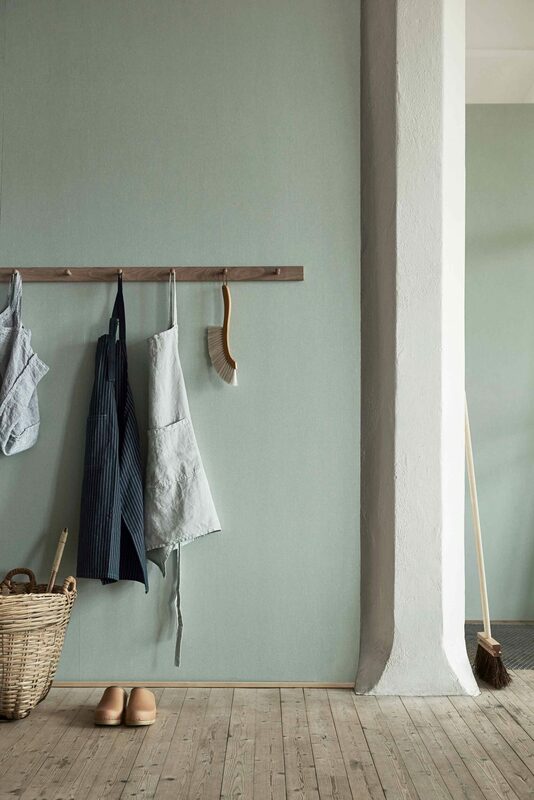 I found that a gallon of Farrow and Ball, particularly with non-F&B primer tinted to near the color of the overcoat to give it even more depth, would cover so much more than a cheaper paint and that clay based color is beyond compare. Do you ever use full on gloss for trim? I really dislike that. Semigloss looks so much better. What about using limepaint instead of plaster? Kalklitir.com has some beautiful color options. That way you can have the appearance of the textured plaster, while still having smooth walls in case you want to change it in the future (without having to skim coat the plaster back to a smooth finish)? Am leaning towards subtle, and nothing that looks too Parisian. Am totally fine with cutting costs on paint finishes. Am still sad the built-in bunks got shelved for later. But for most things, the difference that can be appreciated from afar (online) usually doesn’t justify the larger cost. I love the plaster/ limewash as long as it isn’t too loud/obvious. The Venetian look is what makes it dated. I would be very careful and aim for the Belgian to keep it fresh and modern but have that depth you desire. Should you do it…I love spending other people’s money so, Heck YES! 🙂 But maybe to save money, can you keep it to just the guest room? I think you can if it is isolated enough in terms of halls and lighting. I love me some smooth walls, but it sure is pricey! check out https://www.pure-original.com/marrakech-walls It has the look of Moroccan plaster walls. I dunno on this one. I love, love, love the look when done in the right house with the right “old-world” context. But in a Scandi-rustic-modern house? I worry that too many different looks might be happening here. I agree with Elizabeth. What I have seen of the mountain house is very beautiful, although I would describe it as modern rather than rustic or scandanavian. This is good to my taste but the limestone wash or other texture does not sound appealing next to all that beautiful wood. Agree 100% with you on the orange peel, when we bought the house it had all orange peel walls and rounded edges which dated the house but now both of those are being fixed as I type this which is so wonderful. I vote no texture… it would be one of those things that would be so hard to fix if you changed your mind later on. When we moved into our house our kitchen was full of it, I sanded the walls to remove most of it but that was so labor intensive… I don’t wish that on anyone! Agreed! It must be regional as someone else pointed out – textured walls on the east coast are always considered dated (and an extra cost to apply – and to remove!). I would just do the slight texture for cost reasons – as close to smooth as you can get! Then its much easier to clean as well. I do not love textured walls, but realized that likely puts me in the minority here. We have textured walls in our current home, and I would totally make them smooth again if I knew it wouldn’t be a complete waste of money to do so! I still find it bizarre that a smooth finish isn’t standard in a lot of the USA like it is in most of Canada. That being said if you can’t do smooth (I also wouldn’t want to pay triple) I think this subtly textured finish is beautiful and I think as long as it doesn’t go overly textured or overly mottled it will add a really nice depth to all the rooms in the cabin. I say go for it! I am a huge fan of Jersey Ice Cream Co’s work so before even reading the full post I was yelling yes! Do it! based on my knowledge of their work alone. It is so good. C’mon Em, you can pull this off. You’re talented. Generally I’d say no but given that you’re a designer, have access to help, a plethora of cool ideas/resources and aren’t afraid of making changes if there’s a mistake made (hello, wallpapered guest bedroom!) I’d say go for it. It has the potential to be AMAZING. I’m so confused as to why your sheetrock would be more expensive to be smooth as opposed to textured? I didn’t even realize the orange peel finish was an option anymore. We just put up an addition and I worked with the drywaller extensively and we never talked about a difference in finish. All of our walls are smooth. Can you explain in more detail why it would cost 3 times as much in your area? I have a number of friends with new houses and no one has textured walls, and these are average, middle class people who would not have chosen a more expensive finish. We are in the Midwest so maybe that has something to do with it? I am really missing something here–very confused. I’m confused too – I read on another blog about perfectly smooth walls costing a ton, and I was a little confused there as well. Thanks! I think she’s talking about the finish for plaster walls. Not drywall or Sheetrock. I was mystified too. Recent shots of the mountain house are all drywall so I’m very curious! I wonder what product they use to cover the whole wall instead of regular taping mud for the seams. From what I know, perfectly smooth drywall would cost more because they have to skim coat the ENTIRE wall with mud, not just seem and screw holes. They also have to take more care taping seems, etc. to reduce imperfections, because EVERY imperfection is seen on smooth walls. Those things mean more materials and labor cost (although I didn’t realize it would be triple). I’m not sure why there is this regional difference, but it seems like orange peel is pretty standard throughout the western part of the country. I do know that smooth drywall is much more labor intensive. I have friends rebuilding homes right now (due to wildfire) and I’ve been shocked that their entire homes are being drywalled in about the same amount of time it took for smooth drywall in our kitchen/mud room remodel. I can see why Emily is saying it’s triple the cost. I am OBSESSED with plaster walls. I plan to use them in my master and the kitchen of my 100-year-old, English Cottage-style Bungalow. LOVE LOVE LOVE the texture, movement, casual elegance they bring. Go smooth and just paint. The textured walls can look neat and I’m sure if anyone can do them, that would be you, but they aren’t timeless. Smooth solid paint never goes out. As long as you aren’t doing orange peel, go for it. I had orange peel walls in a duplex once and they bummed me out so much. I feel like theyr the equivalent of a popcorn ceiling but on the wall. Also curious if you’d be able to achieve the same effect with wallpaper? As a mere mortal with a zero budget the thought of adding a project like this would give me an anxiety attack. But it is gorgeous and moody! “I feel like they’re [orange peel walls] the equivalent of popcorn celing but on the wall” – This is exactly how I feel. We have a couple walls in our house with some weird texture on them, and I hate it. I didn’t realize textured walls were a standard thing anymore. Who knew?! I’d generally vote no given the style and age of this house, but maybe you could make it work. Also, I live in New England and no one has textured walls so I find it interesting that’s it’s more expensive to have a smooth finish in CA. In new construction, I don’t think anyone ever gets textured walls here. The standard around Boston is to use blueboard and a plaster smooth coat finish. Maybe it’s more expensive than basic sheetrock, but it’s the standard and is a much nicer wall than plain drywall (in my opinion). And even when sheetrock is used it’s still smooth, so kind of confused on why smooth is triple the cost. I’n into it. The subtle versions. I think it will help the balance out the more modern elements with a rustic vibe. this will look great and a perfect solution for what to do about orange peel texture. 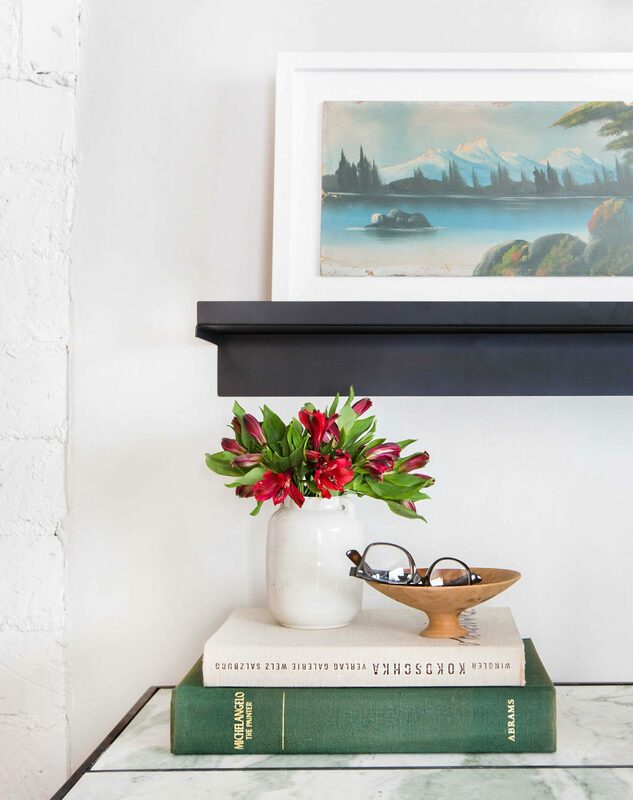 I used Portola Paints on my fireplace wall, which had an original exterior stucco finish — I guess they really wanted to sell that “indoor-outdoor” feeling but that was one original feature I was not willing to keep for the sake of character. Anyhow, it turned out great. Portola does lots of gorgeous tones including a very Emily deep blue. I say go for it! Have you looked at https://www.pure-original.com/lime-paint-fresco Their paint is amazing and gives your walls all different finishes. Mjolk in Canada has done their country home in several shades. Their store is also finished in the paints. Thankfully, Ontario Canada only has smooth drywall done in every home. No drywaller would be in business if they did an orange peel finish! Older homes were done in plaster, but it’s still always smooth looking. YES YES!! I have been pinning all the limewash walls for a while but having a tricky time finding how to manage it in a newer home in the US. Something about ordering lime chalk from Europe is super intimidating and $$$. Looking forward to ALL the textured wall inspo. Thanks, Emily! No! It works in a loft, but not in a home. In this case rustic = unrefined, unfinished farmhouse. Do accent wall in color paint or wallpaper instead. Skip smoothing the all the walls out (and save yourself the $$$) – plastered looks cool, with so much character and a European feel. Maybe you can do a mix of smooth and textured? I despise orange peel with the heat of a thousand suns. It is hideous. The walls get SO dirty with all that texture. We’re buying a house right now and my only condition is we have to skim coat the walls. Orange peel is tacky and cheap. It’s jusr bad. That said, i LOVE jerseyco. They’re really freaking good. However, it seems to work best in homes that are at least 100 years ago. 70s home? I don’t know. The only way it would work in your house is if it’s subtle, as you said, in only a room or two, and you must hire jerseyco to come do it. Ps. Why not drywall? That’s a much cheaper option then any kind of texture and then you could just paint. Why do you have to do texture? Pps anyone know what I can expect to pay to skimcoat a 3,300sq house? Slight texture if needed to save money. Anything else I(limewash, more texture whatever) feels like trying too hard in a house of this vintage and style. Did you say nine YEARS? Maybe it’s that nine months feels like years. Question:why did you go with plaster in Portland at all? Why not drywall? It would’ve been cheap AND smooth. I guess I’m just so confused why anyone would choose plaster orange peel over smooth drywall. I can’t wrap my head around it. Can someone explain this to me? we did do a smooth coat finish drywall in Portland it just wasn’t as cost effective as it could’ve been given for an investment property as the other ways you can finish drywall. Hope that clarifies things! Is this because the existing walls were previously textured already? I can see that the removal of the texture would be expensive. So you did level 6 drywall finish on the Portland house? And what level are you doing on the mountain house? Thanks for clarifying! This isn’t the first time I’ve heard someone living out West think that there must be a level 5 finish (level 6 isn’t a thing, but level 5 is what Lesley is thinking of – a skim coat on top of the drywall). I’m thinking the contractors have pushed it so much as standard that homeowners think a simple level 4 isn’t an option. Level 5 just isn’t necessary unless you are doing a high gloss finish. Or unless you want the texture or unless, like me, you’re trying to match existing plaster walls. Have you sold the Portland house yet and, if so did you make a profit? Bold question, I know, but I would love to do the same thing! Thanks! Delicious and rich! A nod to ancient times. I adore it. Here in the midwest, our walls are all smooth. The reason is because they only cover the seams and sand that down to smooth rather than cover all the walls. It’s a huge cost savings, and all that needs to be done to the drywall after that is prime it using drywall primer. This also makes it super easy to patch any holes because there isn’t a texture to try to match. If you want smooth walls, I wonder if this would be an option for you. I’m also in the midwest (Kansas), and I rarely see perfectly smooth walls.. In my experience, they cost more because the entire wall is skim coated with mud (not just the seems) to reduce imperfections. My current house has cement walls that are plastered on top with a LOT of texture. It’s not quite right in some spots, but I don’t really get the appeal of smooth walls. They are so difficult to do and maintain and then they are so boring. Go for something unique. Also: I was another blog about the topic of smooth walls. In some areas, they simply DON’T texture the walls at all–you put join compound on the seams, smooth it out, and done. But you don’t really have smooth walls–you just have un-textured walls. Western U.S. usually ALWAYS textures, and to get perfectly smooth walls you have to skim coat the entire wall, which is expensive and time consuming. I think. Yes, sounds correct to me. I live in SoCal and my hubby was in construction years back – contractors here seem to prefer to do a fast sloppy job on the drywall seams and then spray cheap texture (your choice of fine or large orange peel particles lol) all over everything to cover up the imperfections. When as in the eastern US they do a nice job taping and mudding the seams, then prime and paint, you do still frequently have slight humps at each seam which can be seen with the wrong paint sheen or light angle. Here in California, the 3x expensive smooth walls involve covering every inch of wall with a thin layer of skim coat and then sanding it dead flat.. using bright lights to find low/high spots and trying to make it perfect. Very expensive. I think, with all the textures (wood, stone, tile) that are going on in this project, perfectly smooth-coat walls would actually look odd! In fact, much of the story here, since you’re now combining a modern Scandi aesthetic with a more rustic one, is actually ABOUT the texture now. Texture creates warmth, tells a story, encourages relaxation. I say yes, yes, yes, go for it! I love this Organic Feel. Very Minimal, and Serene! I am embracing this for my home! Limewash: really hard to clean or repair. My favorite product is something called Lusterstone. Gives you a super subtle shimmer, and you can scrub it. Kick it, dent it, and a quick swipe of a trowel you are good again. It is expensive but beats everything else we tried and my hubby did it for a living. Whatever you pick from Portola, ask them about how easy it it is to repair or clean. As a new follower without the advantage of knowing your space intimately, I am weighing in on your question of wall treatment for your mountain home. You have some compelling thoughts which have opened my eyes to the beauty of limewash surfaces … in the right space. I personally would NOT do the limewash finish but if YOU love it, if you must do it, go subtle. My reason for this opinion is from personal experience and my desire for practicality. We purchased a timberframe home in Central Oregon two years ago which had heavily textured walls (think Italy!) in much of the house. Even with endless Central Oregon sunshine, huge windows, grand vaulted ceilings, and exposed timbers the textured walls were shadowy, a distraction, they dated and darkened the space. I wanted a cleaner look, more of a rustic modern mountain vibe with a nod toward Denmark, my husband’s roots. This past year we have been ridding the walls of this heavily textured look. We decided to do so not only for the fresher look but for reasons which may or may apply to your home. Our home wears a lot of hats and sees a lot of traffic. 1)It is a family retreat with three generations using it regularly, i.e., it has to be kid rough and tumble, hands on every wall friendly, yet comfortable and lovely enough for the older folks to enjoy. Easily cleanable walls are a necessity. 2)Our retreat is a model home for the Davis Frame Company and visited regularly by builders and prospective clients. An easily maintainable and clean looking space is a must. 3)The house is Earth Advantage Platinum certified and a completely off-grid home. The past two years 150-180 public school students toured the house to learn about alternative energy building/living. A few weeks ago the public (150-200 folks) viewed the home as part of 2018 Central Oregon Green Tour. The walls have survived beautifully without a scuff. Your retreat will likely not have hundreds of curious hands touching the every surface like ours but do consider maintenance, the occasional touch-ups needed and cost of repair to keep your walls pretty. Perhaps a compromise would be a protected accent wall rather than a wall which will likely be touched, bumped, leaned on? At the end of the day, will the limewash walls bring you pleasure when you look at them? You should choose what you love, what works with your life-style, and budget, short and long term. Can’t wait to see your finished project! Is this an american thing? In Europe every house has smooth walls. Even the cheapest homes have smooth walls – it’s by far the cheapest option here. Strange it would cost more somewhere else. Also have you looked at “pure original” brand paint? It might work for what you need. We have extremely rough plaster in a 1930s Dutch Colonial in Connecticut and it’s lovely; not for everybody maybe but I think it’s fantastic and gives the house amazing character and texture. It’s tough to paint in that it uses a lot of paint but on the other hand, precision is not required! Lots to love about plaster. I’m not a huge fan of the limewash but haven’t ever seen it in actuality so can’t comment on that. Good luck! And embrace the plaster experience . . . I love the subtle plaster look you’re hoping for and I think it will age well. (Though isn’t trend blindness fascinating? I’m really curious about what has remained mostly ageless over the century…does that even exist?). It’s too bad that flat finish is most expensive in California though! It’s SO EASY to DIY repair than something textured. DO IT. YES YES YES YES YES. I’m dying to limewash a room. Recently, I came very close to buying a home that had limewashed bathroom walls. They were totally smooth, yet had subtle dimension to the walls and were 100% gorgeous. I say yes! Yes, yes! All sort of yes! The subtle texture is beautiful! I’m in the middle of looking for some one to do it for me in my powder room. I also don’t want any of the Venetian plaster look. I definitely more of a subtle texture. I think the look in the entire house would be gorgeous. 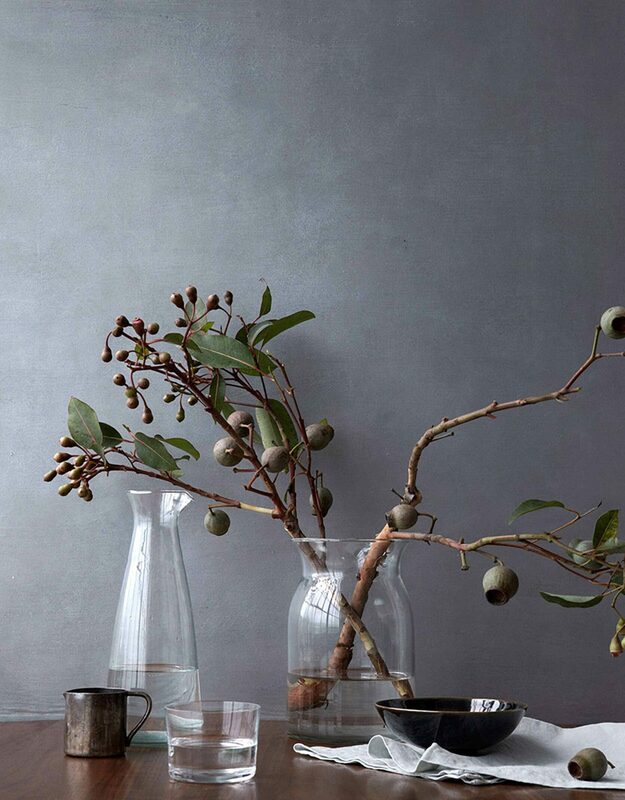 And the moody color with texture makes it more contemporary. It almost looks like cement! It’s beautiful! Totally on the right track. I have seen some of the Jersey Ice Cream Co. work and when you talked about moody plastered walls that sprang immediately to mind with a YES! I like it best in moody grays and blues. 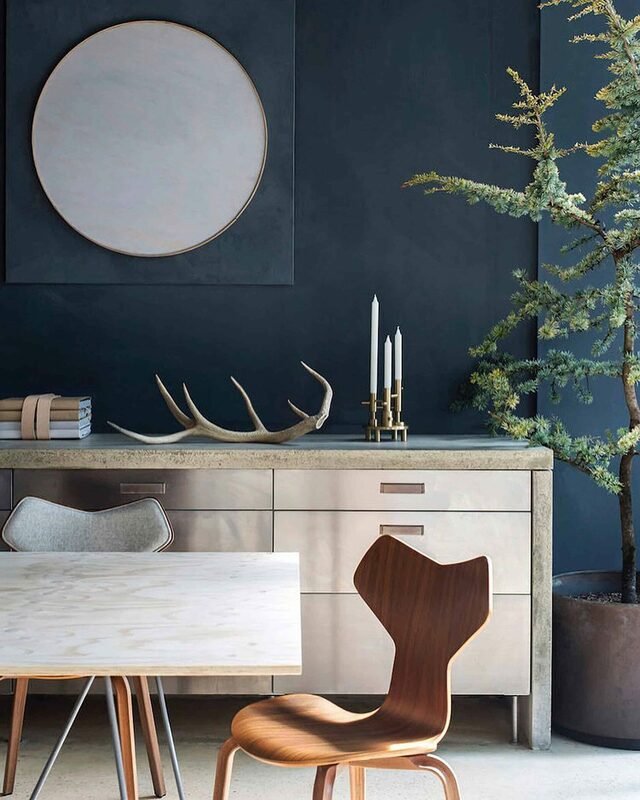 And your more hushed inspo pics seem just right for this house. Please do a post on standard wall textures (not necessarily a lime wash as I would consider that a specialty texture). I know what orange peel is. I’ve also heard of mixing a bit of drywall mud with the paint and rolling it on for a very subtle texture (although I’m not sure how that can be applied to the corners where a roller can’t reach). And of course there are smooth walls, and I understand why they would be more expensive. What are the other standard drywall/texture applications??? I would seriously appreciate some more information on this topic. I just did my fireplace and I love it! I dont know that I would want to see every wall plastered. But yes! Its super nice. As long as the finish doesnt go tuscany! Mine looks California chic. I live in Chicago & most walls are smooth finish unless you’re in one of those 1920s bungalows. My house is 1873 Victorian with smooth plaster walls. The few times we’ve had to replace plaster with drywall, we have a skin coat of (smooth) plaster put over it. We do move art around-just carefully! I like smooth walls. I’m definitely not a fan of the smooth flat – too much labor for too little “wow”. 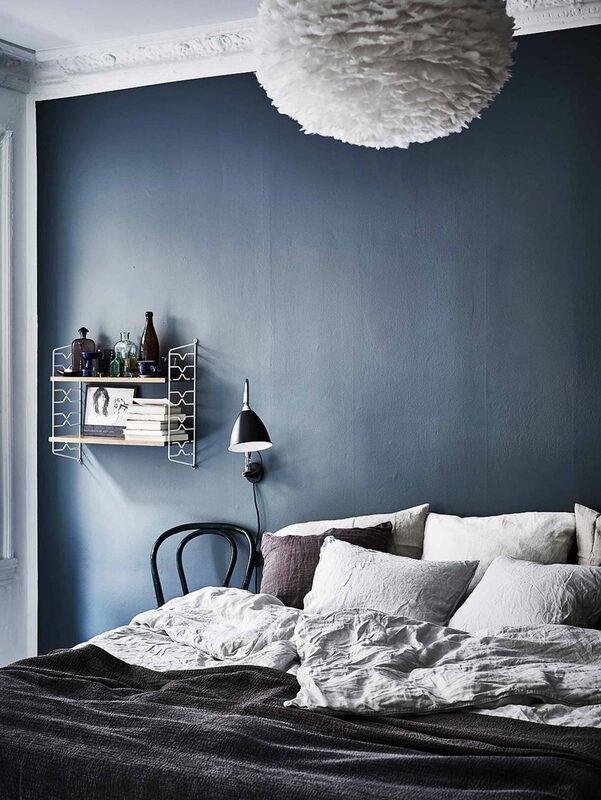 Love your choice in any light shade for a bedroom, because it’s all about tranquility there. Guest rooms shouldn’t get little handprints on them the way other rooms do, so these walls should stay beautiful for a long time. 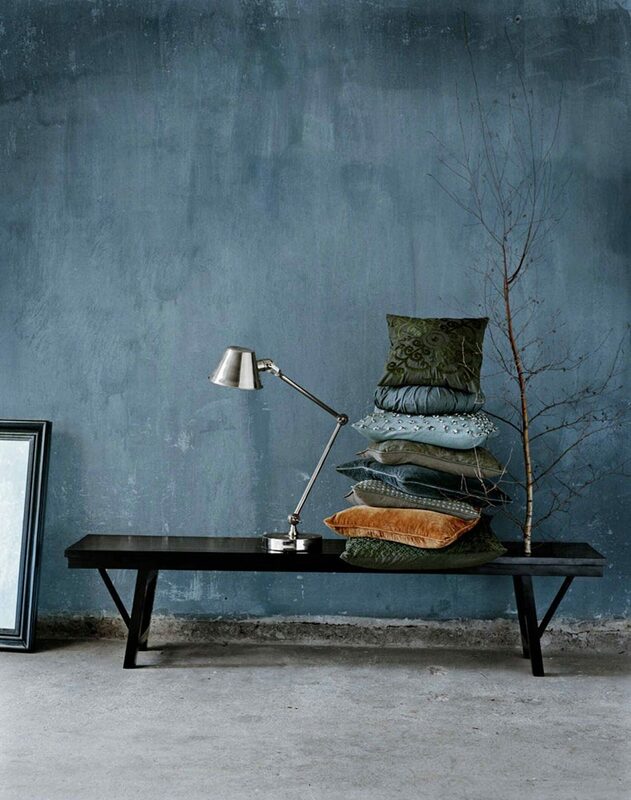 I love the inky blue one and think you should absolutely do atleast one room like this. But maybe a room that everyone can share like a library or family room.. also I don’t like the the finished glossy painted walls juxtaposing this look like in the bedroom photo with the blue walls.. there is something mezmerising to this texture and the regular painted walls takes the mood away. Hope you go for it! I want to do the wall that goes up my open stairs to the next floor this way. A murky blue black water effect.. I love all the textures here, except the orange peel, but for the mountain house? No. Just no. Smooth Sheetrock, end of story. Knowing when to stop designing is very important and if everything is fabulous, nothing is fabulous. Wow! I’m ahead of the trend (or 100 years behind?). Our 100 year old house has plaster & brick that I lime washed for a variety of reasons (breath ability, texture, cost) and everyone that comes into our house mentions that that they love it. One warning for non-californians… it was REALLY hard to get the correct lime wash in my state. I had to pay about $100 to ship a $10 back of it from out of state and that might be even harder now that Lowe’s closed. In our house it fits the 1920s simplicity I was going for perfectly. * meant OSH not lowes. Also want to add it can be layered. We did one wash because I thought I wanted the brick to be visible, but once we did it it just looked like dirty white, so I had my handyman do another coat and it was the perfect opacity. Initially and always, I love Venetian plaster. But I know it can be extremely expensive and it MUST be done right. However, I never took a good look at limewash until I read this article. I am loving it. I love the subtle texture especially when color is used. I think it would look fabulous in your mountain house … perhaps in a very light gray or parchment. YUM! I love the limewash- that chalky inky look is to die for. And subtle natural variation in plaster walls- a big yes! I live in an older home with plaster walls, and it is one of the things that I love and makes me not want to leave. It reminds me of the care and attention that someone gave to my home, and why I should treat it that way in return. It’s one of the things that makes my house a home! Yes!!! But subtle, I think it would look great with the warmth of the timber ceiling. Yes, yes! I like the warmth, softness and age that plastered or lime-washed walls bring to the design. It doesn’t feel very Scandinavian but it is rustic and mountain-cabin-y. Also the addition of richly colored walls will balance the large amounts of black, white and wooden elements in the architecture, tiles, lighting, ceiling etc. This will be interesting! I’m a design/build GC in Portland, OR. Definitely feel ya on the extra cost for smooth walls. Here I pay double (not triple), for my drywallers to smooth the walls, and on some spec projects, I too have come to regret the decision. I don’t think buyers notice/care as much as I do. That said, I LOVE the plaster texture and have been wanting to try it. (But intentional limewash or plaster, not labor-quick orange peel or bad big builder texture). Probably thanks to relentless Remodelista reading, I’ve wanted to try tadelakt in place of tile in the baths. The problem I’ve run into is finding an artisan. Plaster in general is becoming a bit of a lost art. Anyway, there’s a fabulous guy named Matt out of Utah who flies all over the West to do Tadelakt but he was way out of my budget. I’ll still keep searching for someone here in Oregon. I’m very interested to see how your subtle texture approach turns out, should you go that route. Will you save money? And will you like the final outcome?! Not for the mountain house. “Modern scandi mountain” doesnt read textural/antique, which these give that feeling to. Venetian plaster is really beautiful in the right spot, tho. As someone who grew up in an old house with plaster walls… don’t do it!! I’ve been dreaming about likewashed walls for years. Please do it! Yes, yes! totally gorgeous and sophisticated yet unpretentious. I live in an old house with plaster walls and I feel that there is something special even a bit of romance in the texture of the plaster. I love the different examples of texture in the pictures and the pinks and the teal are scrumptious. I think plaster is such a beautiful, timeless look. Definitely not trendy, even if it’s gaining momentum right now. You should do it in your mountain house. It’ll be such a beautiful and quiet way to add texture. I used Portola Paints limewash in my master bedroom pictured in this post and I love it. So much so, that we’re currently in the process of moving and I am redoing our Master as part of the One Room Challenge and I am going with limewash again. 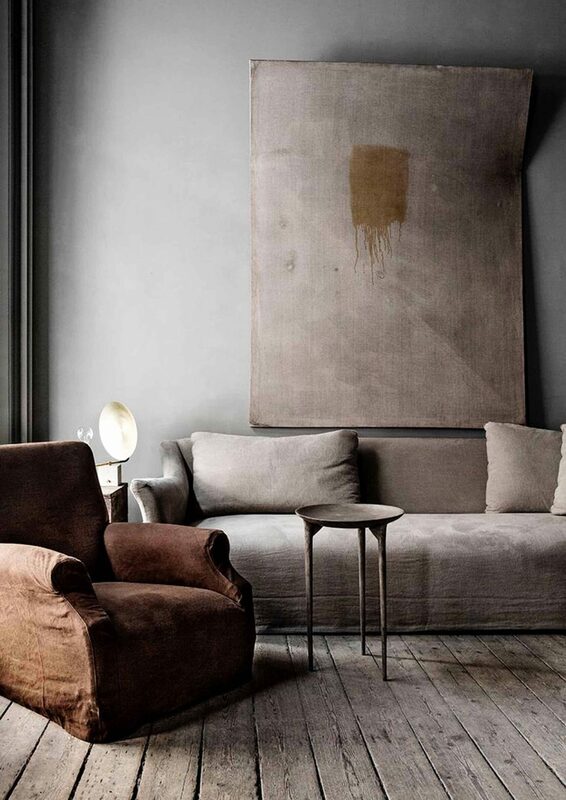 It adds so much subtle depth and patina to a room, so beautiful! We’re big fans of Portola Paints and can’t wait to see what up next! As for the finishes, a limewash in a subtle medium color so you can see the variations is always a favorite. Yes. Lime wash, or light subtle plaster. Lime wash is timeless, and light plaster will give a lived-in look to a new build. Love it. I’m I design junkie and I love super dramatic spaces…but I feel like in your home you want something that doesn’t grab your attention so much that you get sick of looking at it. Also, as your tastes shift over the years, it’s nice to be able to swap out furniture and have the walls still work with just a touch-up here and there every now and again. I live in Miami, and my entire house is white (meaning interior and exterior walls), which sounds boring. For design junkie. But my tastes change often, and our house has been through several transformations, without once having to fully repaint any interior spaces. I wouldn’t have it any other way. I literally read this whole post thinking that by orange peel texture you meant the texture that rollers leave on normal smooth drywall, and thinking that to get totally smooth walls was a different paint application method. It wasn’t until I got to the comments that I figured out what you were really talking about. Seems that terminology for texturing of walls is very different in different parts of the country! Around here (Kansas City) it would cost significantly more to have your version of “orange peel” or the more common one in our area, “knock-down”, done on drywall than to just have it smooth finished. Having done the drywall work for smooth walls myself in one remodel project and lots of patching on smooth walls elsewhere, I 100% believe that smooth walls are easier to patch than textured walls – just some quick spackle and sanding for small nail holes, or adhesive patches, more spackle, and more sanding on bigger holes. My mom has the knock-down texture throughout much of her first floor thanks to the fact we needed to cover up the damage to the drywall from when we removed layers upon layers of 80s wallpaper, and if she has a small hole the patch work is the same as on smooth walls, but larger holes are very hard to patch and get the texture to match up to the wall around it. I think that in a high end application, the plaster texture would look great in person, but many of these pictures make me think that a less skilled application would end up looking like bad faux finishing from 2002. It just feels like we’ve been here before. 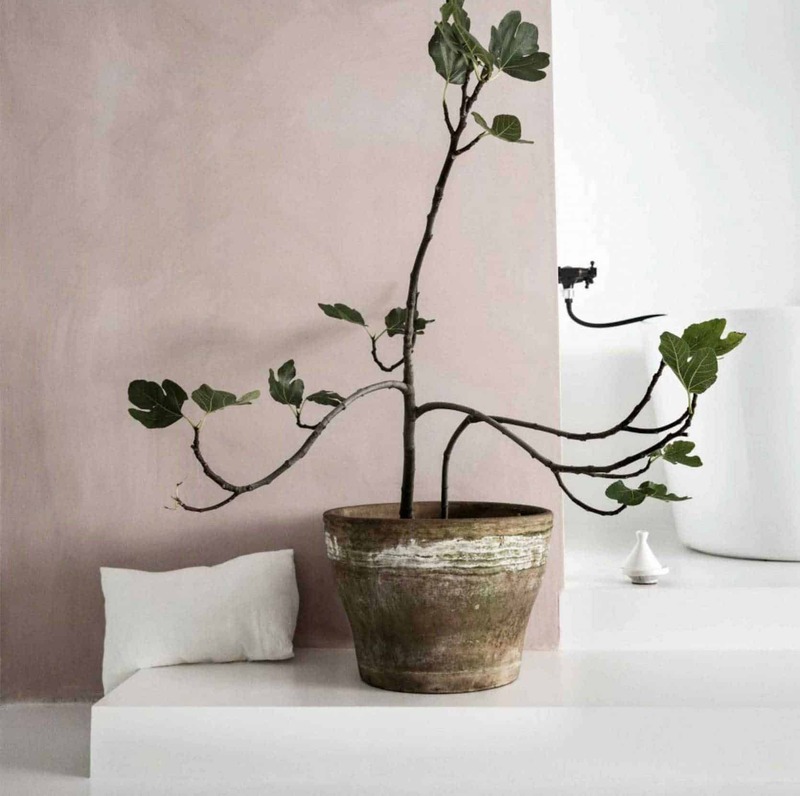 I love a clean, flat, solid colored wall, but that may change – maybe you’re just pushing the trend envelope again, and in a year we’ll all be oogling lime-washed and plaster finished walls all over instagram. My current apartment has plaster limewash walls (lucky to find a place rented out by an architect!) They definitely take the space up a notch. They are very nearly white so the effect is subtle but lovely and modern. I don’t think it will go out of style. That said, I have noticed in the 2 short months I’ve lived here that they are very delicate. We have artwork leaning up against them and if there’s anything on the back of the frame (like, I don’t know … a HOOK) that will scratch them. It’s nerve-wracking trying to decide where to hang things because it’s so easy to scratch them, even when trying to be careful. I am actually too scared to drill any holes in them because I can’t simply patch and paint the spot… I’d have to redo the whole wall. So yeah … while I think they are a beautiful design element, I wouldn’t put them in a house I was designing personally. But maybe there is some way to seal them to be more durable?? definitely no on the orange peel finish…it’s so cheap looking. what about using the Portola lime wash style paints with the slight hand style texture? Is that an option? Their paints are pretty amazing and might give you the dimension you’re looking for when you use that slight hand style finish…? That could be a more “economical” compromise? maybe? But to go full on Venetian or full on lime wash seems wrong for the house…your instinct seems right to me. A little dimension/interest might be nice, though. I live in an apartment with lime-washed plaster walls (we were lucky enough to find a place rented out by an architect!) They definitely lend intrigue and give the space a more high-end, modern feel. Our walls are very nearly white, so the effect is subtle but still very lovely. That said, they are very precious. We have artwork leaning against the wall, and even that can leave a mark if there’s anything on the back (like, I don’t know… a HOOK). It’s really nerve-wracking if you’re trying to figure out where on the wall to hang something (or even where to lean), because sliding anything across it can leave a big scratch. In the end we decided against hanging because we wouldn’t be able to simply patch and paint when we move out. We’d have to redo the whole wall in lime wash. It also shows dirt more, so I avoid touching them at all costs. With normal paint and drywall I would just grab my handy magic eraser, but I’m guessing that’s probably not advisable with this finish. So yeah, while I love the look and appreciate the extra “oomph” it adds to my apartment, after living with it I would not choose to put it in my future homes. I want my walls to feel like a blank canvas that I’m free to decorate without fear, rather than making the wall itself the piece of art. That said, maybe there’s a way to seal them so they’d be more durable? Not a fan of this in this country. It needs to be done by professional plaster folks who know the tricks. 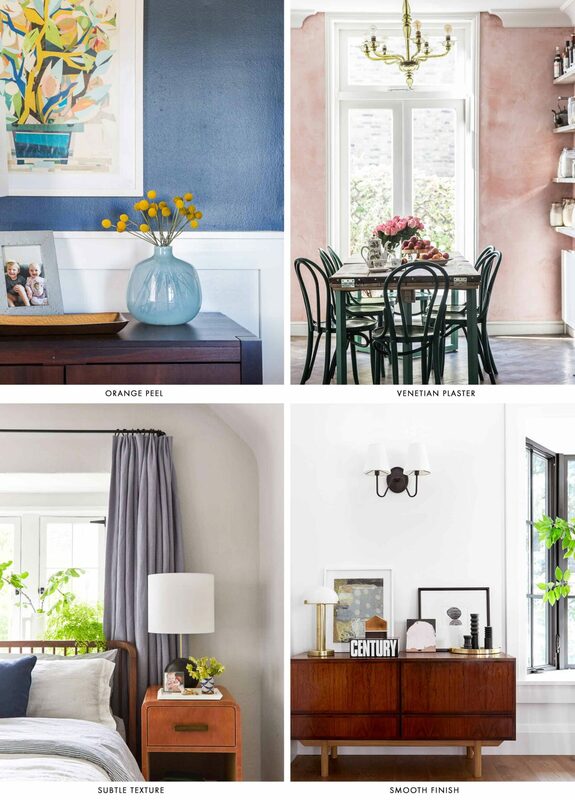 The examples you have in this blog are not impressive with the exception of the dark blue wall. When done wrong, it looks like a leak was being repaired cheaply. Also the feel of the room suffers with this treatment. This works in a small room with minimal furniture, good light and a deep window and lots of wood. It’s not for the faint of heart and it is costly to be done correctly. Save this for your house in Europe or Iceland where it belongs. Love the look but BEWARE!!! We moved into our home that has about 40% of its wall Venetian plastered. It can look great, but shows any smudge, drip, etc. The previous owner’s child stuck a band aid on her wall – now a permanent mark. My four-year-old was swinging his sticky hand toy (the slappy kind that stretches) and made a permanent mark with it. So I’d be hesitant to do that with kiddos in the house! We live in a charming 90 year old cottage in the southeast and most of the house has plaster walls. The dining room has some more texture from a redo maybe 30-40 years ago, and there is a kind of cheap-y extension in the back with painted wood paneling. The cottage is very quaint and gets good light, it also has had some foundational issues so shifting (and fixing the issue) has caused intermittent interior cracks. The ceiling is peeling in many areas (esp the bathroom = moisture), and in one area is actually molding because of a leaking window. You can see where I’m going: we wouldn’t do them again because of the upkeep, difficulty patching, etc. Hanging stuff is always a crapshoot. It’s expensive and I get while it could be an “interesting” or “higher end” look, it’s also a pain in the @** when you think about doing any sort of changes. I also feel like we’re more beholden to “the plaster guy” rather than being able to DIY it. (Or in our case, my partner just not dealing with it). I wonder if this is more of a “high end customer” preference… Like, being upper middle class I can afford some luxuries but dealing with this is not on my list. Then again, it’s also just a matter of choice! Bring on the texture! With all the mountain renderings I totally forgot at some point color is going on those walls. The moody colors paired with the texture is going to be really nice. If you wanted smooth walls in Portland, why didn’t you go with a Level 4 drywall finish instead of a Level 5? As long as you aren’t looking to lacquer the walls, a level 4 finish is sufficiently smooth. This is what we normally specify for commercial spaces, even for high level executive offices. It allows you to use the natural smoothness of the drywall sheet rather than an overall coating that a craftsman has to get perfect. It’s cheaper than even orange peel, too. There comes a time when you need to step back and make sure everything belongs under the same roof and the house doesn’t look like a lab experiment. One of the major problems with the house when you started was that it had additions that didn’t look and feel right together. One constant should been wall texture unless you are using tile or wallpaper. Using different paint techniques in large areas look great, but if you do this room by room it seems confusing. I am a big fan of Venician plaster and lime paint in the right space. I love it! Bring on the texture! Love, love, love this effect!! I don’t think it will ever get old….! I’m personally not big into orange peel finish, but I LOVE the Jersey Ice Cream Co. plasterish, limewashy look. I think my preference leans more towards the middle on the texture subtlety scale, I think if it’s too subtle it could go into shoddy paint/drywall job territory. Adding some texture to the walls could make this house feel warmer and older – in a storied, well loved sort of way, not a tacky faux finish kind of way.